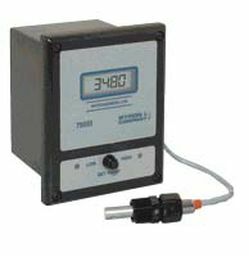 This system is designed with the end-user in mind, eliminating the need to visit the E-coat tank to record data from all the anode cell amp meters. 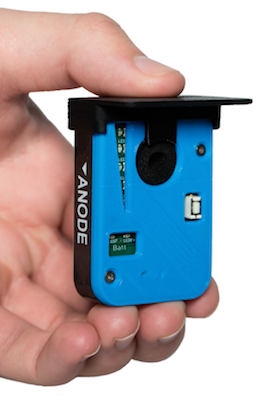 The monitor will collect real-time data and display the DC amps for each Anode Cell. Also shown is the most recent peak value and a running tally of amp-hours for each Anode Cell. The system includes a Hall Effect electric current sensor for each anode and a PLC for collecting the data. The PLC screen can visualize the data using color codes to show quickly which anodes are out of spec. A remote viewing program allows the PLC data to be sent to any PC on the company’s network. 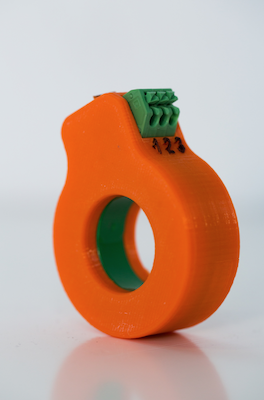 Please see the Product Data Sheet Here. Proper knowledge of actual E-coat paint flow is important in troubleshooting UF performance. An electromagnetic flowmeter installed in-line before the ultrafilter system will provide consistent day to day readings of paint flow through the Elements. 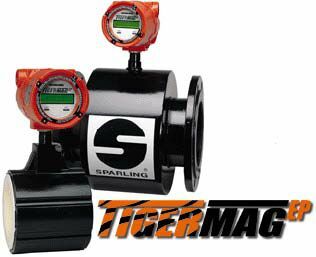 UFS promotes the use of the TigerMag brand of flowmeter in accordance with paint company recommendations. Please see the Product Data Sheet here. 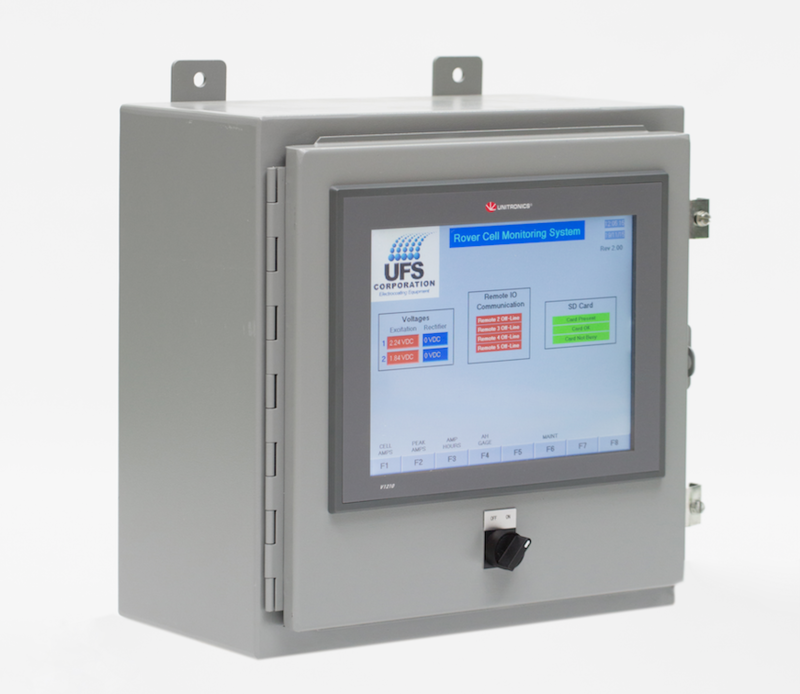 UFS offers a Myron L digital conductivity controller pre-installed in a metal enclosure. This controller will work with either anodic or cathodic paint systems, and has a range of 0-20 milli-Siemens/cm (same as 0-20,000 milli-Mho/cm). 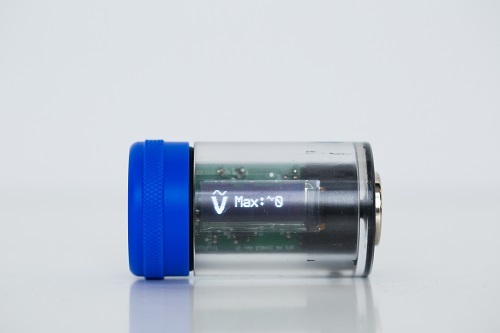 It has a set of dry contacts that close on rising conductivity so a DI water valve can be turned on to add water and dilute the anolyte conductivity to below its set point. Please see the Product Data Sheet here. Permeate Flow data is important to collect and analyze as well. 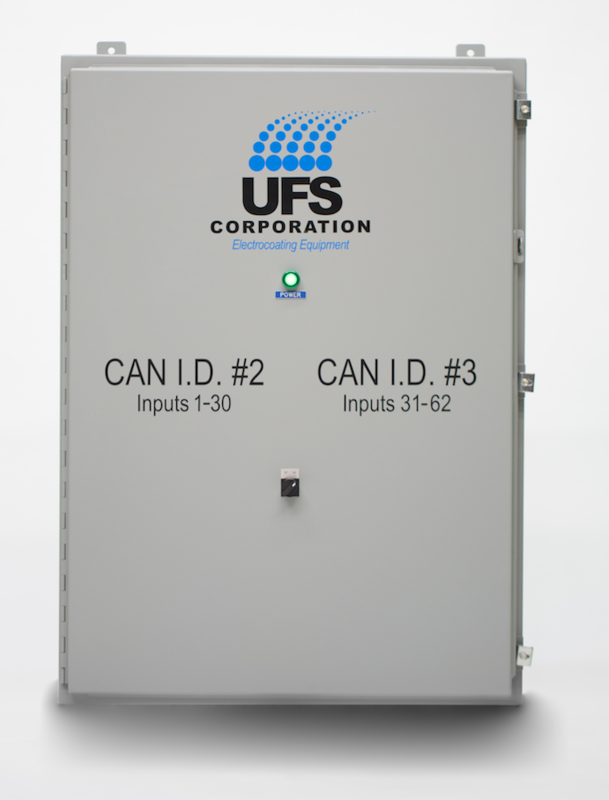 With a paddle wheel sensor installed at the output of each UF element, permeate flow data is collected in the PLC. 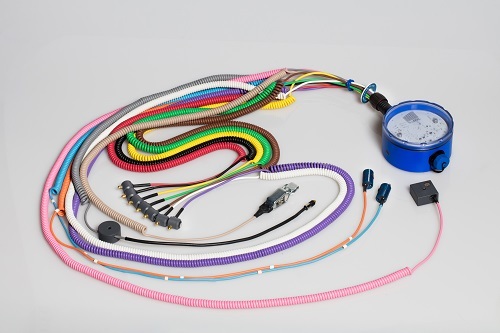 This equipment can be retrofitted to any spiral wound UF System. Contact UFS for additional information.